Help, how to topics > Track circulations, manage loans > How to set library automated email notifications with gmail account? How to set automated emails with your Gmail account? I am having trouble getting the automated email feature to work with my gmail account. 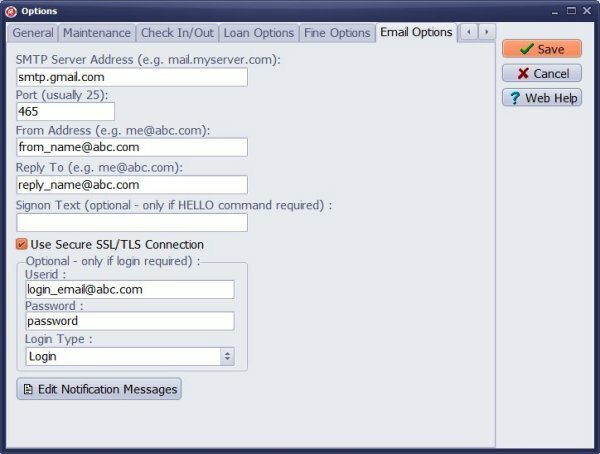 Set correct email options in Email Options: smtp server, port, from address, reply to address, userid, password. 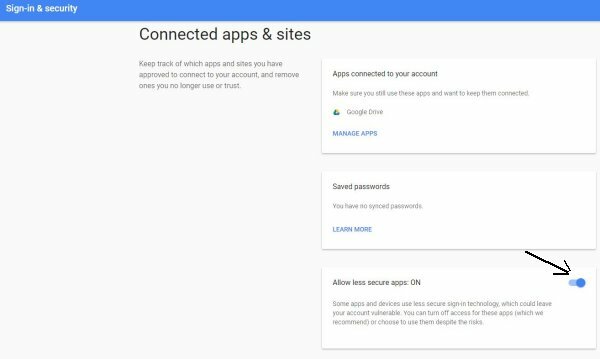 Turn on "allow less secure apps" in your google account. Enter smtp.gmail.com into the SMTP Server Address box. Enter your port number into the Port box. Enter From Address and Reply To. Check Use Secure SSL/TLS Connection. Enter your Google account user id and password (this has to be your userid and password you use to log in into Gmail). Select Login in the Login Type box. Log in into your Google Account. Open Connected apps and sites section. Turn on the option called Allow less secure apps. Library Manager Email, I am having trouble getting the automated email feature to work. Note that I have also tried the Port setting at 25 and it didn't work either. I have also tried smtp.gmail.com in all lower case. Is this a Handy Library Manager problem or a Google problem or a laptop problem? What else do you recommend I try?